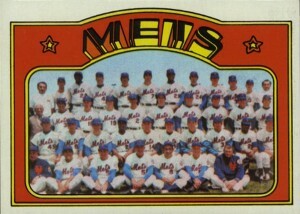 Friday April 21st 1972: It was early on the 1972 season, just weeks after the passing of Mets Manager Gil Hodges & first MLB Players strike. 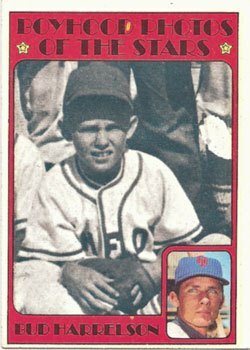 Things were beginning to get underway for the season, as Yogi Berra's Mets hosted Leo Durocher's Chicago Cubs in front of 11,144 fans at Shea Stadium. Todays matchup had the Mets ace Tom Seaver going up against the Cubs; Burt Hooton. Hooton was fresh off his no hitter against the Philadelphia Phillies in his previous start. This proved to be as good as it was billed, as Seaver went the distance throwing a four hit complete game shut out, striking out nine Cubs walking just one. Only one Cubs base runner got past second base & that was only because of a Mets error. Hooton was good too, he also struck out nine, but walked three allowing six hits on two runs. His only bad inning came in the 5th. 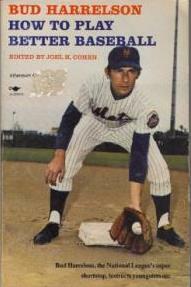 The Mets Ed Kranepool led off with a base hit & was sacrificed over to second by Jerry Grote. After Seaver struck out, Bud Harrelson singled to left bringing in Kranepool with the first run. Harrelson advanced to second with heads up base running, on the throw home. Kenny Boswell then singled as well, Harrelson scored from second making it 2-0 & all Seaver would need for the win.